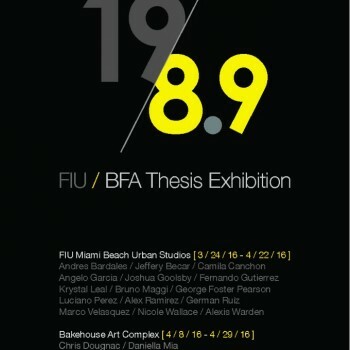 FIU Master of Fine Arts candidate, Jose Luis Garcia, has a unique perspective on the Arts and his photography practice. Born and raised in Miami, FL into a family of educators, academia was always a primary influence in Garcia’s life. In 2014, he graduated valedictorian of his class from New World School of the Arts College. 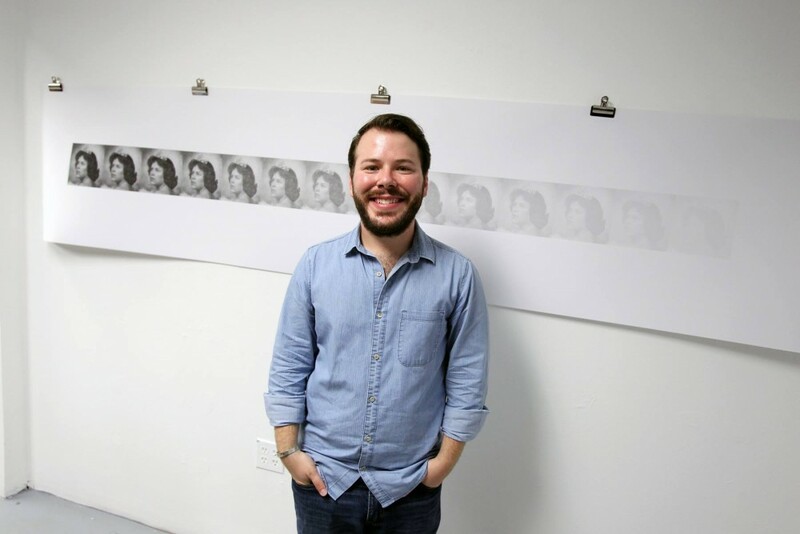 The following year, he decided to pursue a Masters of Fine Arts (MFA) degree from Florida International University’s Department of Art + Art History, specializing in photography and printmaking. During this time, he worked for local, cultural centers such as, ArtCenter/South Florida, the Miami Freedom Tower Museum and Arts for Learning that led him to realize that academia was also his passion. “My intentions for pursing an MFA is not only to continue my photography practice but also seek a degree to become an educator,” said Garcia. When it comes to Garcia’s artwork, he blends printmaking and photography to create his pieces. He prefers more unconventional methods such as Xerox machines and re-conceptualizing film imagery rather than making use of a traditional dark room. In his most recent exhibition at FIU Biscayne Bay Campus’s Photography Gallery, Family Aggregate demonstrates his mastery of both mediums. “This project started after Mirta [Del Valle, Photo Lab Director], invited me to exhibit the legendary BBC Photo Gallery. One day, after class at MBUS [Miami Beach Urban Studios], I walked to the beach and the concept came to me intuitively. I immediately started researching, going through old photographs and scanning images,” he recalled. Like most of his projects, Garcia likes to interweave past and present memories; blurring the line between nostalgia and erasure. 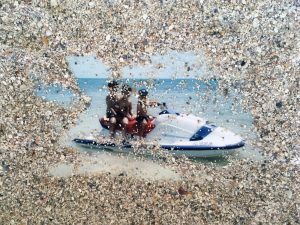 His new work for Family Aggregate uses family photos from childhood summers spent on the shores of Key Biscayne using site-specific elements, such as sand. Garcia’s take on art is imitate and approachable; a rarity for most artists. He plans to continue his photography practice after graduation in next semester. Then, plans to foster art in local, Miami communities and age groups. His strong academic background, combined with his personal perspective on art, makes him a leader for future generations. 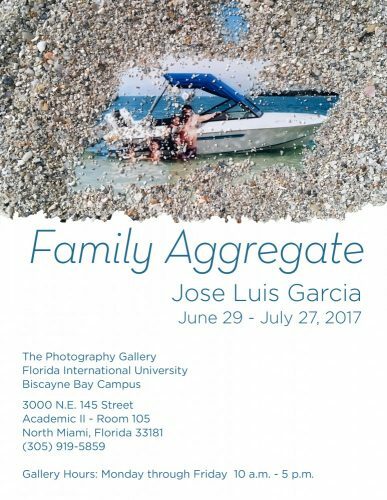 Garcia’s Family Aggregate is available for viewing at Biscayne Bay’s Photography Gallery until July 27th. Entrance is free and open to public. FIU BBC Campus | 3000 N.E. 145 Street in North Miami, in building Academic II, Room 105 | Gallery Hours: Monday – Friday 10 a.m. – 5 p.m.
To read more about the MFA program, please click here. Follow the Department of Art + Art History in Facebook, Twitter and Instagram.